The most eagerly awaited sporting event of the last 106 years took place on 15 July 2018. The world cup final? The Wimbledon men’s final? No. 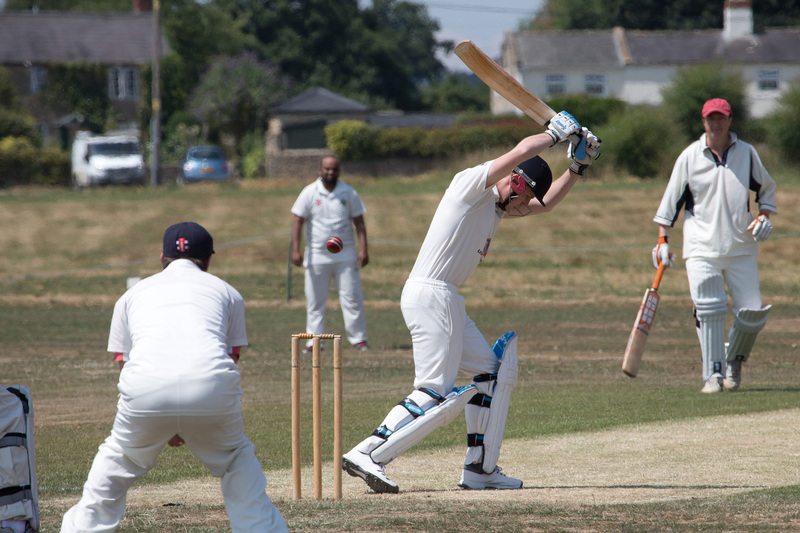 It was the re-match of the Bax Broughtonians v Broughton Gifford cricket match on the common at Broughton Gifford. The fixture was first played in 1912 when the Bax Broughtonians had emerged victorious in a close and low-scoring game. There was then a hiatus of 105 years, when the fixture was re-established in 2017. In 1912 the Broughtonian team included the brothers Clifford and Arnold Bax, as well as the war poet Edward Thomas whose anniversary was celebrated at various events at the 2017 Frome Festival. In 2017, six related Baxes made the starting line-up, while the instigator of the event, Martin Bax, was twelfth man. 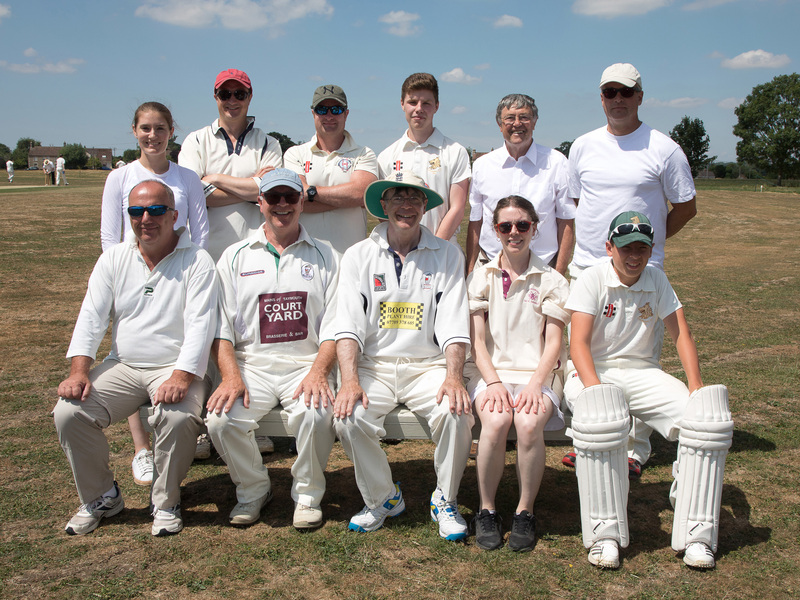 The Broughton Gifford team included Tom Gerrish as Captain, whose great great grandfather and his two brothers had played in the previous encounter in 1912. The result, in a very high scoring game, was victory (once more) to the Bax Broughtonians, the scores being 235 for 6 wickets versus 190 for 8 wickets in the 40 over match. 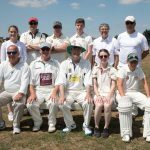 Broughton Gifford demanded a replay and as they were reluctant to wait another 105 years for the opportunity to get their revenge, another fixture was arranged for the aforementioned 15 July 2018. While there was some consternation that the fixture may have clashed with an important football match, in the event the England team was persuaded to lose the match against Croatia in order for the 106 year old fixture to go ahead. Conditions for the match this year were splendid with the hot summer producing a good batting wicket and a super fast outfield. It certainly seemed a pitch to bat first and James Bax, captain of the Broughtonians, seemed delighted when the opposing captain, Mark Mullis, won the toss and invited his team to bat first. However, he had not reckoned with the strength of the Broughton Gifford bowling attack nor the quality of the team’s catching and fielding. 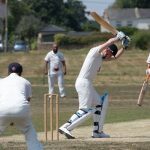 Wickets fell at regular intervals and the Bax team’s confidence took a knock when star batsman, Mathew Bax, fell to a stunning catch for only 28. Obviously the Broughton Gifford team are proponents of vigorous mid-week catching practice because this was the first of several difficult chances taken very comfortably. The innings was put back on track for a while by Nigel Arbury and debutante, Charlotte Bax, whose baseball training proved effective in the circumstances. When she went for 17 the rest of the team could only mount token resistance. Olivia Bax, in particular, was denied her half–century when the last wicket, taken by Emma Putnam, fell and she was still on nought not out. As a result, the Bax team could only muster a rather disappointing 107 and only managed to bat 25 of their allotted 40 overs. 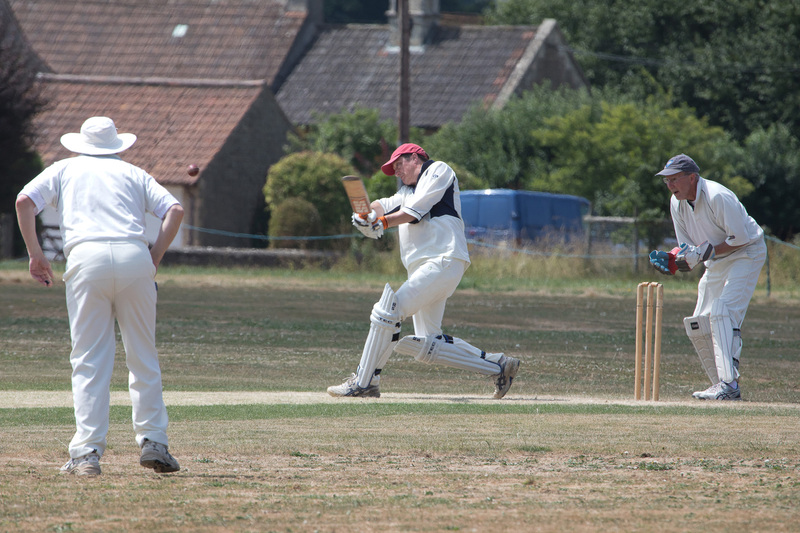 In comparison, Broughton Gifford’s openers, Tom Gerrish and Tom Vincent, made batting look relatively easy. They got to 58 without loss when tea was taken. This was despite the very tight opening spell from Josh Stanley whose 4 overs conceded only 7 runs. The tea interval involved a spell at the Bell Inn on the Common and the refreshment on offer there appeared to reinvigorate the Bax attack. Four wickets fell quickly including 3 from Paul Tollet and 1 from Tom Norsworthy. 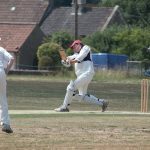 However, the Bax total was never going to be enough and in the event Broughton Gifford earned their victory – and revenge for 106 years of hurt – with an emphatic 6 wicket win. As a result the two teams were able to reconvene at the Bell somewhat earlier than anticipated to celebrate this memorable sporting rivalry to everyone’s satisfaction. 005 The Broughton Gifford Team is, standing from left David Klewin (Umpire) Niall McCaughan, David Wright, Tom Gerrish, Richard Guy, Paul Leverington, Tom Vincent, Duncan Allsopp. 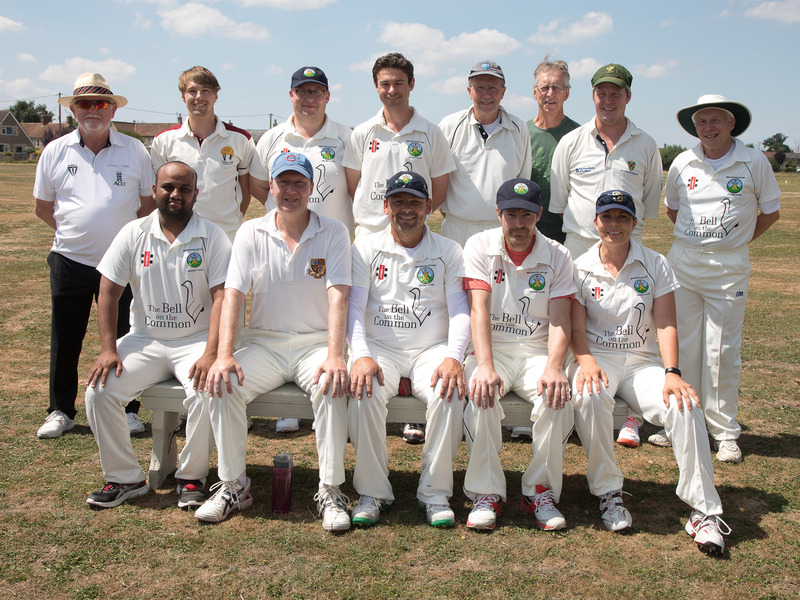 Front row from left, Abdul Mohammed, Paul Girdler, Mark Mullis (captain), Alan Simons, Emma Putnam.